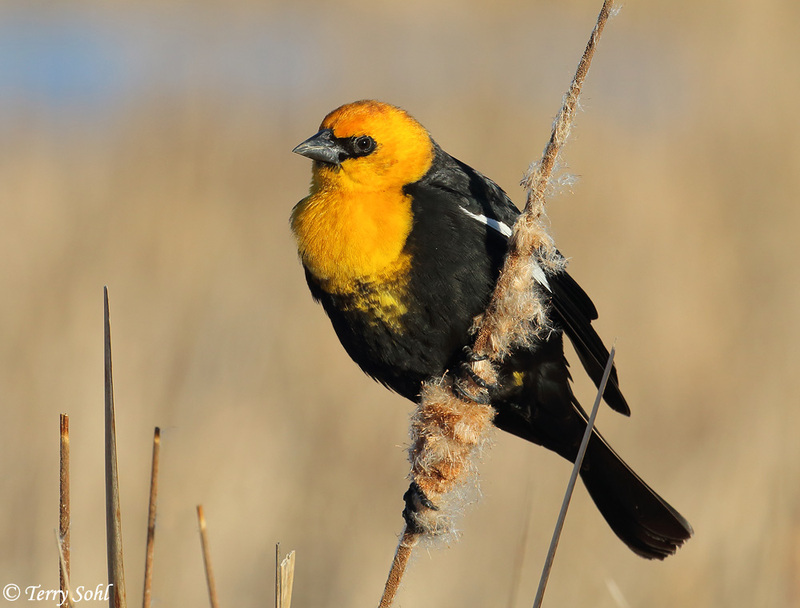 I have roughly 5 billion Yellow-headed Blackbird photos. They're very common in our part of South Dakota from spring through early fall, with most large patches of cattails containing some. However, I just can't resist taking photos of them when I have the chance. This was a chance to take my new Canon 100-400mm 4.5/5.6L IS II lens out for a spin, and when I saw several oblivious Yellow-headed Blackbird males "singing" (I use that term rather generously), I had to take some photos. From April 8th, 2019 in western Minnehaha County, South Dakota.